If you want to dine Tex-Mex style, what’s the first place you think of? Yes, Chili’s. That’s right! This American casual dining restaurant is very well known for its hospitable ambiance and family-friendly meals and portions. Firstly, we were presented with the Triple Dipper. We were given the combination of Chicken Crispers, Southwestern Eggrolls and the Wings over Buffalo. 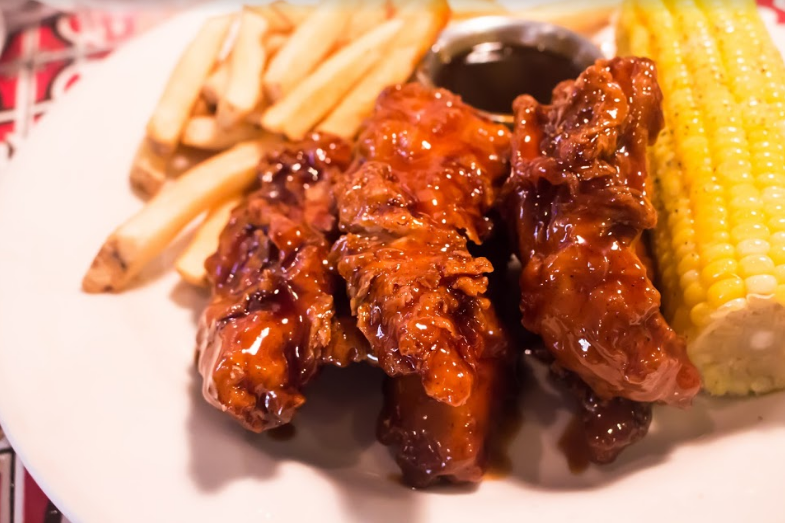 The Wings Over Buffalo are these juicy and meaty chicken drummettes which were coated fully in their special Buffalo wing sauce. It was very appetizing and the meat was so tender it was practically falling off the bone. The Southwestern Eggroll had a flaky and crunchy tortilla stuffed with juicy chicken, black beans, corn, Jalapeño Jack cheese, chopped green peppers and spinach. It was a warm delicious delicate bite that melted into our mouth wonderfully. The Crispers were salted to perfection and every bite exposed soft, tender and juicy chicken meat that went extremely well with the 3 sauces that they gave accompanying the dish. 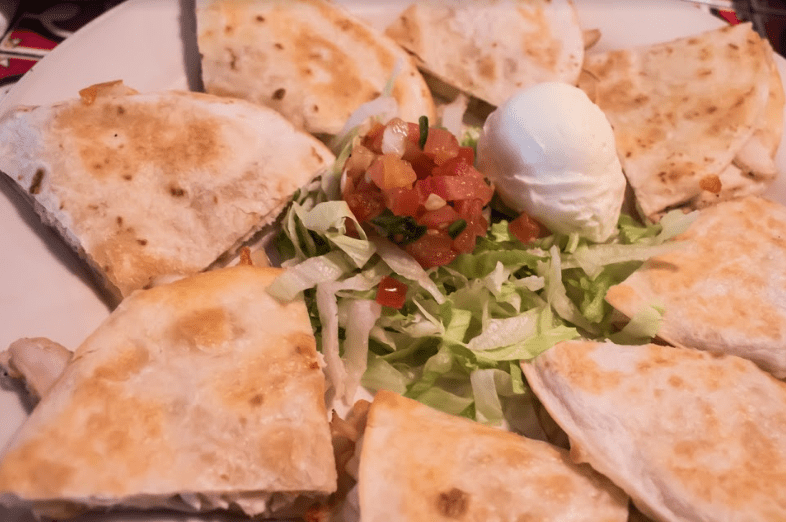 The second plate that came to us was the Chili’s perennial favourite – Southwestern Quesadillas. The crispy tortillas that held the marinated chicken with the caramalised onions and Jack cheese. This is a Cheesy and wholly Mexican dish that is served with sour cream and their house-made pico de gallo also known as the salsa fresca. The crunchy lettuce, the tangy pico de gallo, the warm delicate bite that melted into our mouth wonderfully. To put it simply, it’s a colorful dish that is authentically Tex-Mex. Next, we got to taste Ancho Salmon. This is the true seafood lover dish. 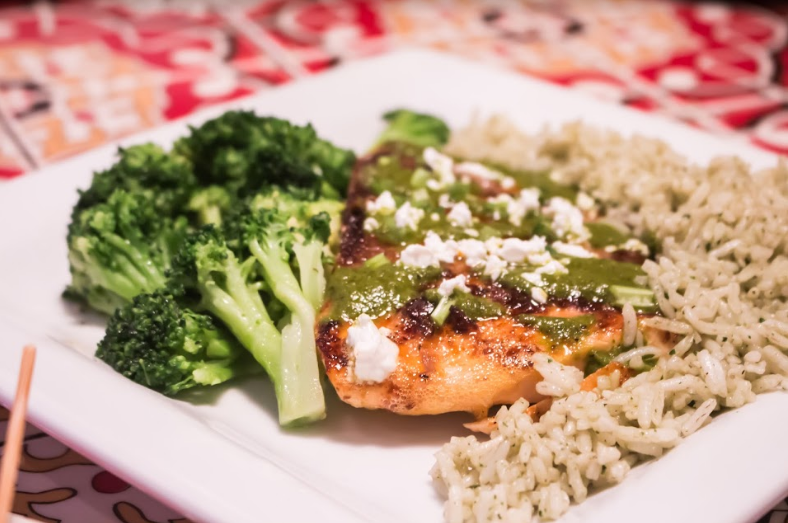 The hearty chili-rubbed fish fillet which is mildly dressed with citrus-chili sauce and topped with chopped cilantro and crumbled feta cheese. The rice that is heavily soaked in this sauce tastes fantastic. It was served with a bed of broccoli that was fresh and crunchy. The salmon which is well-done has the freshness intact in every bite. This is the dish that scored a perfect ten for this writer! We got to try the Crispy Honey-Chipotle Chicken Crispers – the same wonderful chicken crispers but with a twist. The twist is that it is smothered with their spicy and smoky Honey-Chipotle sauce. The sauce somehow made the crispers even crispier. The spiciness of the sauce together with the tender juiciness of the chicken made the dish a unique one, especially when the heat of the sauce hits you when you least expect it. This was served with a side of Homestyle fries that is firm and filled with potatoes, as well as a freshly-toasted corn-on-the-cob. To quench our thirst, we ordered Watermelon Lemonade and Minty Melon. The Watermelon Lemonade had a perfect combination of sweet and sour where the refreshing flavor of lemonade combines with sweet watermelon puree. We ordered them again once done with the drink, because it was so good. The Minty Melon tasted sweet and slightly minty, not so till it was off-putting. It was made of refreshing mango juice with a delightful hint of sweet Monin melon syrup, lime juice and a few sprigs of fresh mint leaves that tied the entire drink together. Being greedy, we also asked to try the Frosty Chocolate Shake. Not only the creamy yummy chocolatey sweet drink was delicious but it was a joy to the eyes to see it looking so chocolatey. A dream drink for every chocolate lovers. Talking about chocolates, last but certainly not the least, we tried the molten Chocolate cake. 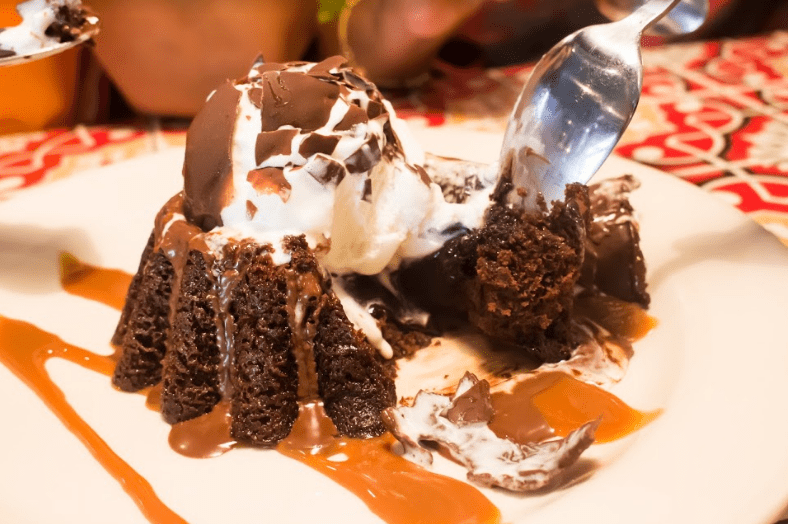 Directly imported from America to maintain the quality, this moist chocolate cake with a melted chocolate center topped with vanilla ice-cream and a crunchy thin chocolate shell, was a bite of heaven. The sweet warm chocolate coupled with the creamy vanilla ice-cream was a perfect harmony in our mouth as it melts. Trust me when I say it gave us food-coma right after finishing it! 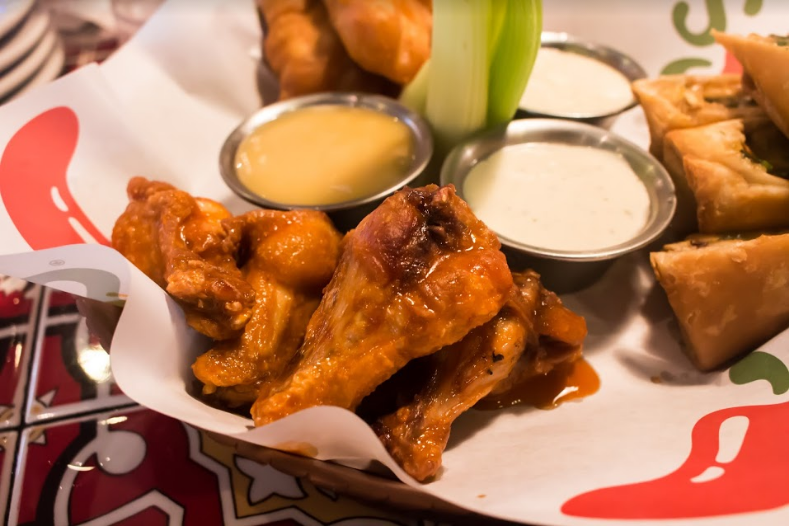 Click here to order online from Chili’s.